Do you want to "Get the Best Tasting Premium AA Grade Coffee" for Your Staff and Your Workplace? We do it all for you ... We arrange it all for you ... Your complete Coffee Vending Solutions ... NO COST! A quality, easy to use SAECO coffee vending machine. Our Coffee vending service ... It's totally FREE! Less downtime during or on coffee breaks. Quality products & Coffee Vending Machines. Click on the tab at the top of this page “Register for a Free Coffee Vending Machine” and fill in the details on the application form and submit. 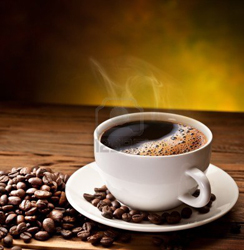 We come to your business, work out where the coffee machine will be placed and discuss with you the product selections. A product selection list is available for you to choose from the world’s leading coffee products. Then if you’re happy, we go ahead and organize an installation date (day and time). All our coffee vending machines automatically dispense cups, sugar and stirrers with each hot drink. The coffee machines are restocked, cleaned each week and cared for by our vending operators requiring no work from you. The coffee machines are placed free of charge with no ongoing costs. Your staff and customers purchase delicious hot chocolate Or luscious coffee drinks themselves. We also have profit sharing arrangements for large turnover sites - which we believe to be a great way to raise money for your workplace or favourite charity. All of our machines are owner-operated, they are focused on you our customer. 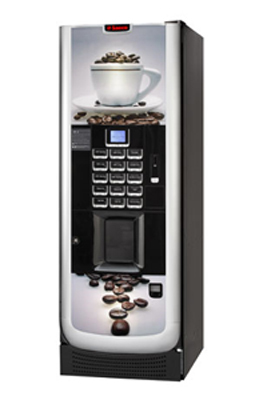 Do you Know the benefits of a Coffee Vending Machine in your workplace or office? Your staff or customers will NO longer be leaving your office to visit their local café, or waiting for that daily visit from the mobile coffee van, which sometimes comes earlier or later than your staff break times. You can have your own freshly ground coffee, all day everyday in your workplace ready just for your staff or your customers, in reality hot drinks at your convenience, and it’s usually less than half the price! Do your staff disappear to the local café for up to a 1/2 an hour or more? Each time they want a coffee to keep them going do you realise that you have lost productivity in your workplace? If your customers are sitting around waiting to be seen to or served, why not let them enjoy a fresh coffee or a hot chocolate while their waiting and let us help you to keep everyone in you factory, office or workplace --- Happy!